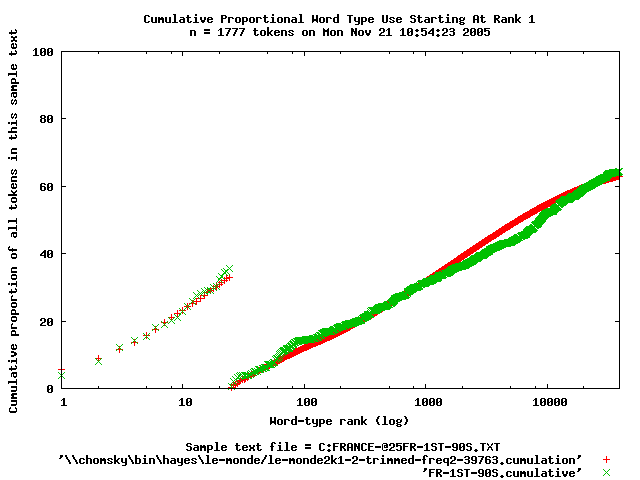 Please note: Donald P. Hayes passed away in October of 2006. Please send queries concerning this corpus to Bruce Hayes at bhayes@humnet.ucla.edu. This corpus contains nearly 2000 schoolbooks: primers and basal readers used in grades 1 through 8 by schools in the United States, Canada, France and Sweden. The most comprehensive analyses are from the 1930's to the late 1990's. The corpus contains the sample texts from each reader and statistics on the readers. The analyses used the QLEX6 software package. No single schoolbook's use is reported. After each text is edited to an international transcripton standard, it is combined with other texts from the same grade, in the same decade, in the same nation, to yield a single estimate of their demand levels. Graphs showing the major comparisons are given by nation, decade and grade. Why was this corpus developed? The primary objective was to measure the relative level of demand that these school books made on the students' knowledge base (lexicon, concepts, domain, etc.) in these nations, in different decades of the twentieth century. There are grounds for suspecting that the demand levels of schoolbooks have been lowered. One policy implication is that verbal attainment may be raised by revising upward textbook demand levels in all grades. For more information, read the guide to the corpus, entitled A Spectrum of Natural Texts. Download the guide as a pdf document. 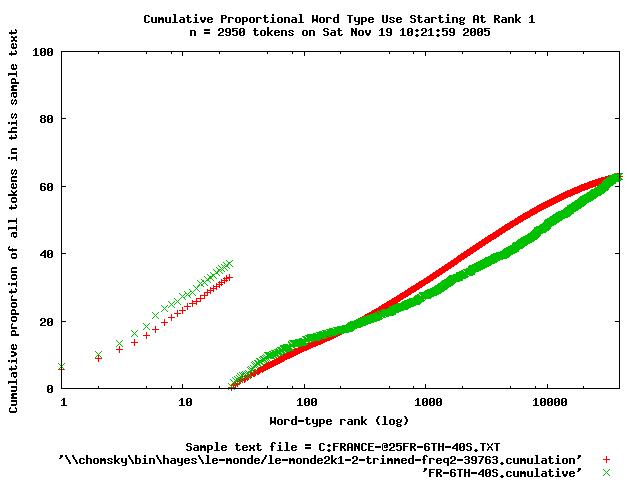 Here is what the graphs show. 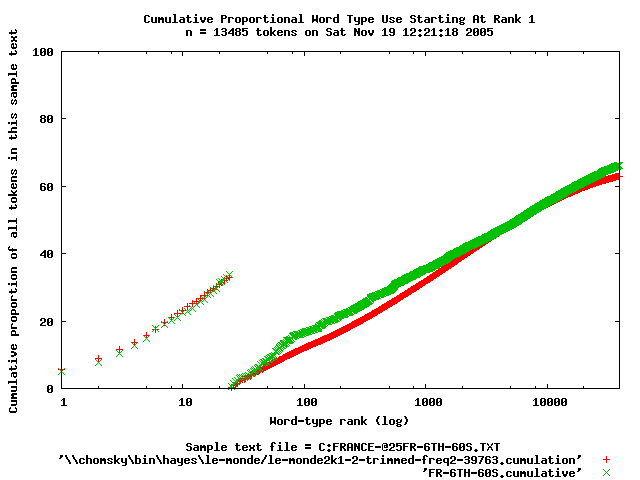 Horizontal axis: integer values, arranged on a log scale, corresponds to the frequency rank of English/Swedish words, as determined by a large corpus of newspaper text. Common words are on the left, rare words on the right. 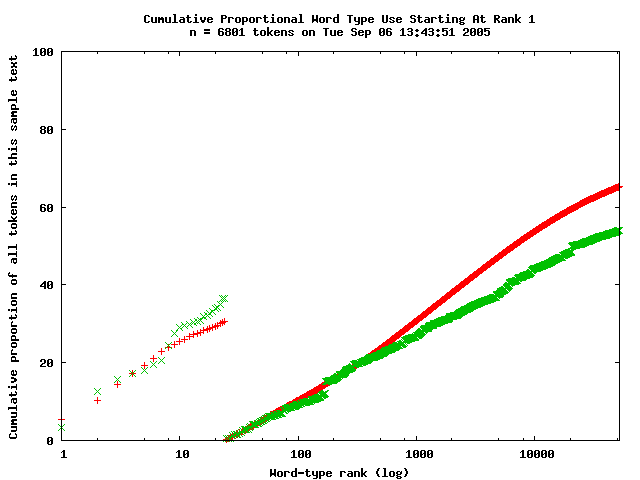 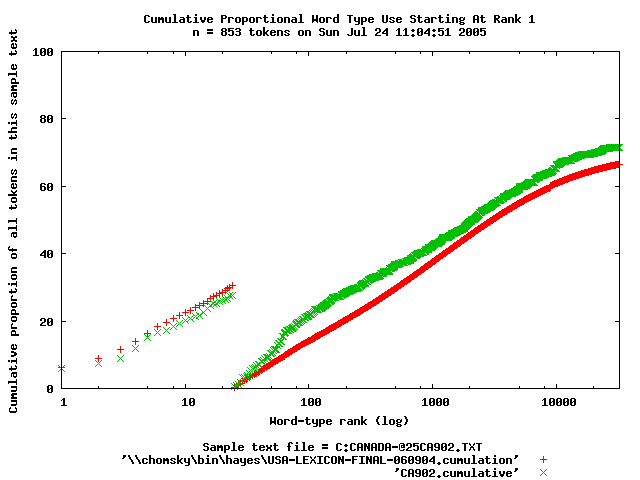 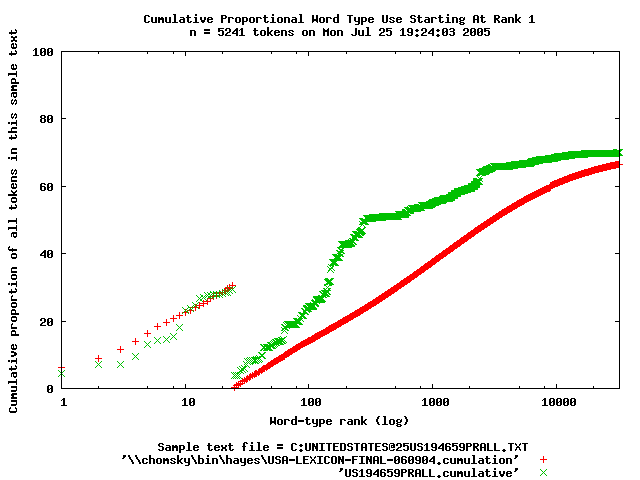 Vertical axis: cumulative proportion of the total text constituted by words up to the indicated frequency rank. At rank 25, the total is restarted at zero. The rationale for this is that the first 24 words are (in both English and Swedish) dominated by grammatical words such as the or and, which are uninformative concerning lexical difficulty. The graph gives two series. The series shown in red represents a large corpus of newspaper texts. The graph in green represents the text under analysis. In general, the more difficult the text, the higher on the graph will be the green line.